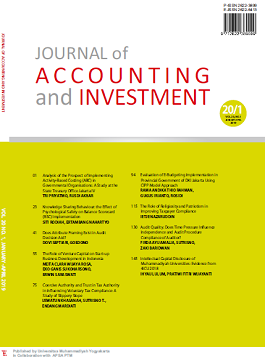 We (JAI editorial Team) would like to inform prospective authors that currently JAI does not publish article studying "tax compliance" issue/topic. Yet, we still accept article discussing tax accounting. Thank you very much. Efective from 3rd March, JAI regulated new article publication fee policy that is authors have to pay publication fee IDR 1.000.000,- and as facility they will get 3 (three) hard copies of JAI with free of shipping cost. See detail.